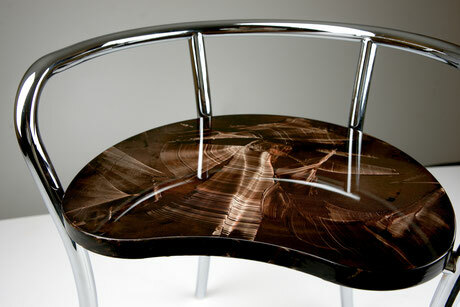 Nielaba is also a precursor of a trend known today as upcycling. He started it in the late 1980s, although the term was not coined until the late 1990s. Within this field, he has laid down his own rules. By creating his oil paintings on old and worn out utilitarian objects, he transforms them into artworks while retaining their original function. 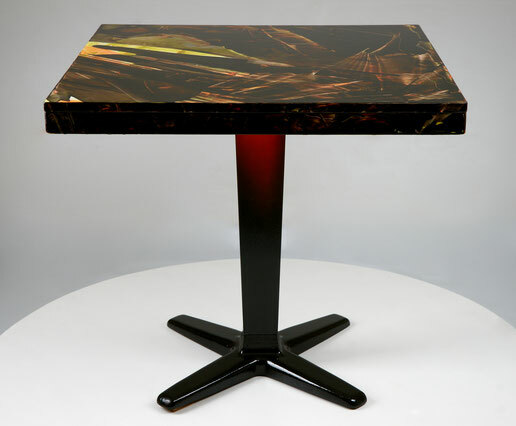 In this process he also draws on his invention of applying the resin lacquer coating onto the morphology of the painting. 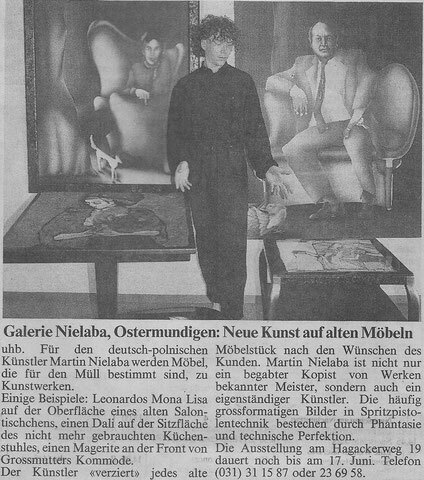 The first public exhibition of Nielaba’s objects took place in Switzerland in 1990. 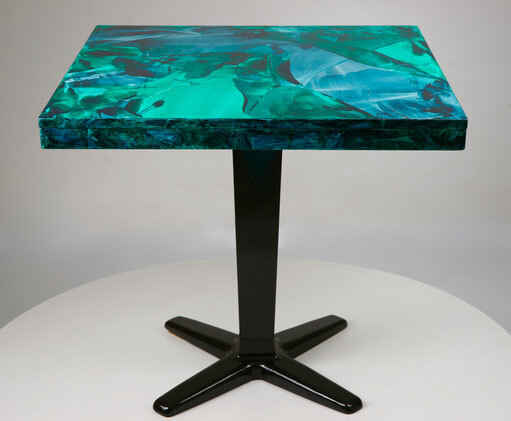 He presented decrepit furniture that nobody was willing to use anymore turned into functional art objects, returned to life and endowed with a new artistic soul. 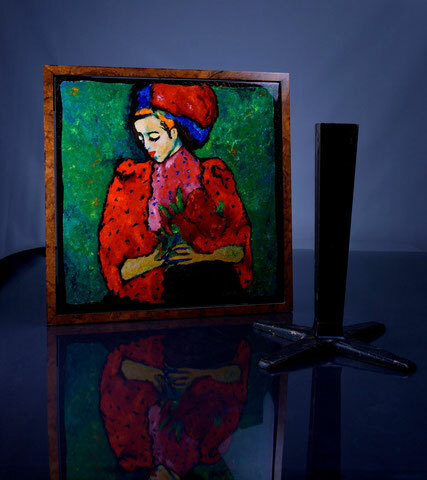 On some of them, he painted copies of works by famous artists, such as Alexej von Jawlensky’s Young Girl with Peonies. The exhibition was very popular and inspired Nielaba to use his invention in other fields too. Nielaba’s current artistic work within the ART FORM cycle is the continuation of the process that he began over 25 years ago. 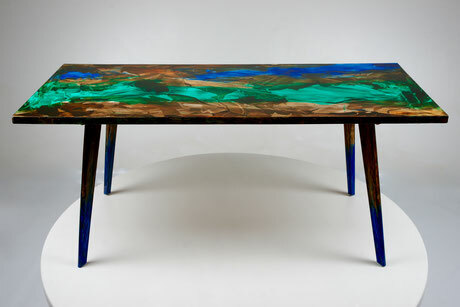 He is again creating his unique oil paintings enclosed under the resin lacquer coating, both on various old utilitarian objects and his newly-created forms. What is novel, however, is Nielaba’s view and perception of the object and of the process itself, which reflects all his artistic experiences attained in the past decades. This projection is fully coherent with his deep philosophy of art and the way it ought to be exposed. A crucial aspect of Nielaba’s art is the opportunity of experiencing his works on multiple levels, allowing the recipient to touch and interact with them, in accordance with the definition of a functional object. While exhibitions are based on a short-lasting and transient relationship of the artwork and the audience, the objects made in the ART FORM cycle are intended to become permanent elements of public and private spaces, where they will serve artistic as well as functional purposes. The entire process of making the artworks is done by hand and lasts many weeks. Each object is a unique piece signed by Nielaba. It may function as an independent element creating the ambience of an interior that will take hold of the viewers senses or, when coupled with other elements, become part of a live painting or construction that will endow any space with a distinct character. The objects featured below are unique artworks made within the Art Form cycle. 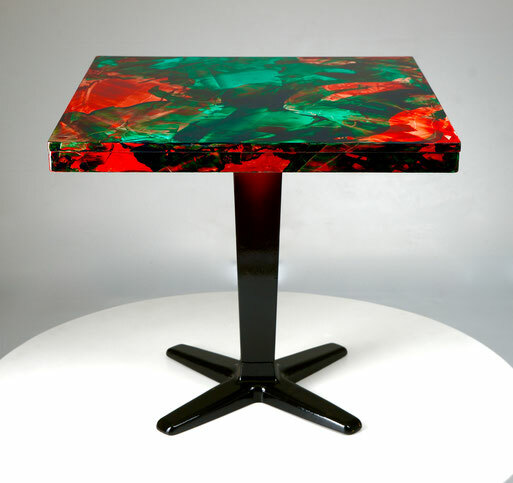 Nielaba turned pieces of old and worn out furniture that he had found in different parts of Europe into works of art by creating exceptional paintings on them, using top-quality artistic oils and his original technique of lacquer coating. Each of the works is signed by Nielaba. 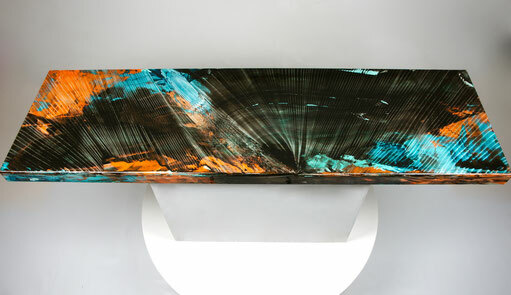 The art objects were coated with several layers of the resin lacquer mixture invented by Nielaba in order to protect the painting’s morphology. The entire process is done by hand and lasts several weeks. All the apparent imperfections in the surface structure are intentional and natural artistic gestures that result from making the paintings directly on the surface of the objects. 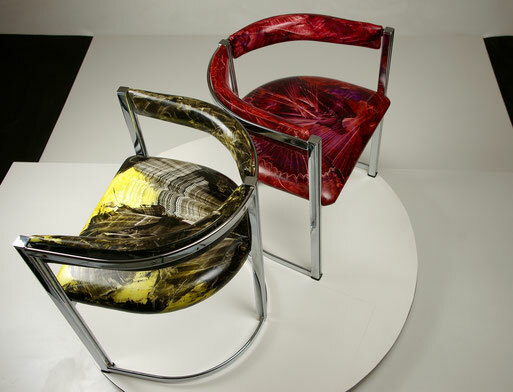 Thanks to Nielaba’s original technique, it is possible to create absolutely unique objects and invaluable spatial forms that address the user’s needs. 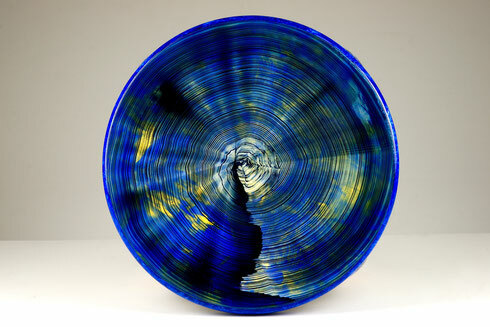 Nielaba is willing to discuss concepts concerning both existing objects and new forms. The objects can be used in accordance with their original functions, although care is advised due to their uniqueness. 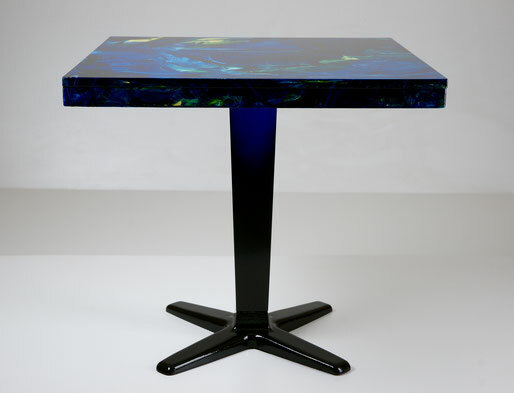 The resin lacquer coating of the painting is weatherproof and resistant to UV radiation. Due to different settings of computer screens and mobile devices, the actual colours of the objects may slightly differ from those presented below.